At this page shops of nitro driven and battery airplane models are presented. You can also see specific products from the collections. Please click at the banners for the collections or the model links to read more or purchase. These exhibited aircrafts are fetched from one of the above collections. By clicking at the links, you get access also the whole collection. Some of the models are ready to fly, others also require purchase of radio controller and or / motor. By clicking at the product links you can also see all models in the collection that the model belongs to. Take to the air with this high performance RC Cessna and let the fun begin. This awesome was designed with strong light weight materials that make it easy to fly. It is constructed with top grade materials and designed for excellent performance. The QX-838 Stealth Quadcopter is the newest in RC flying technology. This design will allow you to fly faster and be more agile in the air. This can be flown indoors or outdoors on calm days. The 4 rotor blades are protected with a plastic frame body. The 4ch RC quad copter with gyro auto stabilizes during flight and allows you to go up down left right forward backward left aileron(roll) and right aileron(roll). This high quality replica is crafted from plastic and comes with a wooden base. Dimensions are 14(L) X 13(H) X 10 1/4(Wingspan). The United States Navys Navy Flight Demonstration Squadron popularly known as the Blue Angels first performed in 1946 and is currently the oldest formal flying aerobatic team. The mission of the Blue Angels is to enhance Navy and Marine Corps recruiting and credibly represent Navy and Marine Corps aviation to the United States and its Armed Forces to America and other countries as international ambassadors of good will. 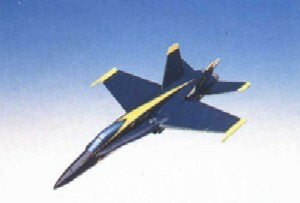 The Blue Angels chose the A-4 in the early 70s replacing the thundering F-4. By adopting the Skyhawk the team now had an aircraft that was much more aerobatic than before. This allowed for a tighter display and the ability to keep much of the performance in front of the audience. The A-4 Skyhawk was manufactured by Douglas Aircraft Corporation and was designed by Ed Heinemann. Its primary users are United States Navy and United States Marine Corps. Its maiden flight happened on the 22nd of June 1954 but it was introduced in 1956. The A-4 Skyhawk is a lightweight single engine attack aircraft. It is said to be one of the most famous attack aircrafts ever designed.